Here at The A.V. Club, we’ve seen countless TV shows and movies that get stuck in development hell and never manage to make any actual forward progress. 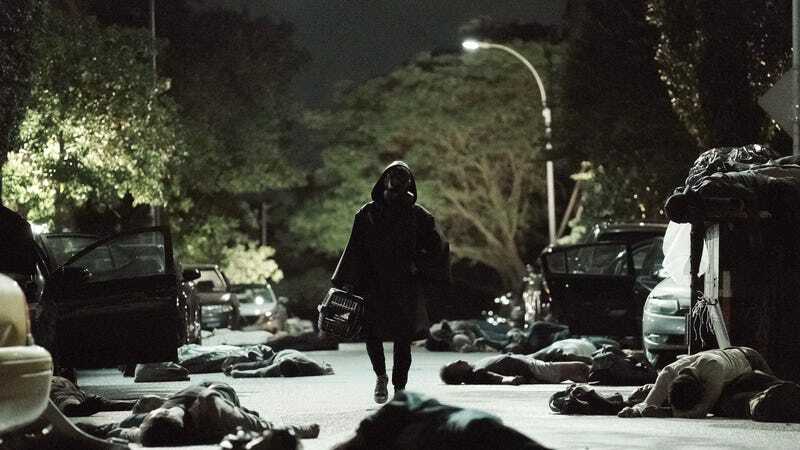 FX’s adaptation of Y: The Last Man was one of these projects, having been in development for nearly a decade, but back in February we reported that—against all odds—the show had actually received a series order and was really going to happen for real. It was a nice surprise for fans of the book, and it was definitive proof that just about any project can get off the ground as long as its creators have some perseverance and a supportive TV network or movie studio. Well, today, showrunners Aida Croal and Micheal Green quit FX’s Y: The Last Man show, citing—what else?—”creative differences.” Croal and Green released a statement on Twitter, saying that the network “has decided not to move forward with our series in its current form” and that they had hoped to reward their cast and crew “not just with success but with a show that had something to say, in a time when things must be said,” but evidently FX would not allow them to… say whatever they had wanted to say in the way they had wanted to say it. Despite the wording of the statement, FX tells The Hollywood Reporter that the show is still happening, with the same cast (including Diane Lane and Amber Tamblyn), but now the network must find someone else to run things. Also, if the name Michael Green and the idea of him quitting a big TV adaptation of some other thing sounds familiar, it could be because Green used to be the co-showrunners of Starz’s American Gods before he and Bryan Fuller left that project over a disagreement about the show’s budget (or “creative differences”). This time around, the implication from the statement is that Green and Croal wanted to do something political with Y that FX wasn’t comfortable with, but that is just one side of the story. Either way, getting this Y adaptation on TV just went back to feeling a little more unlikely.